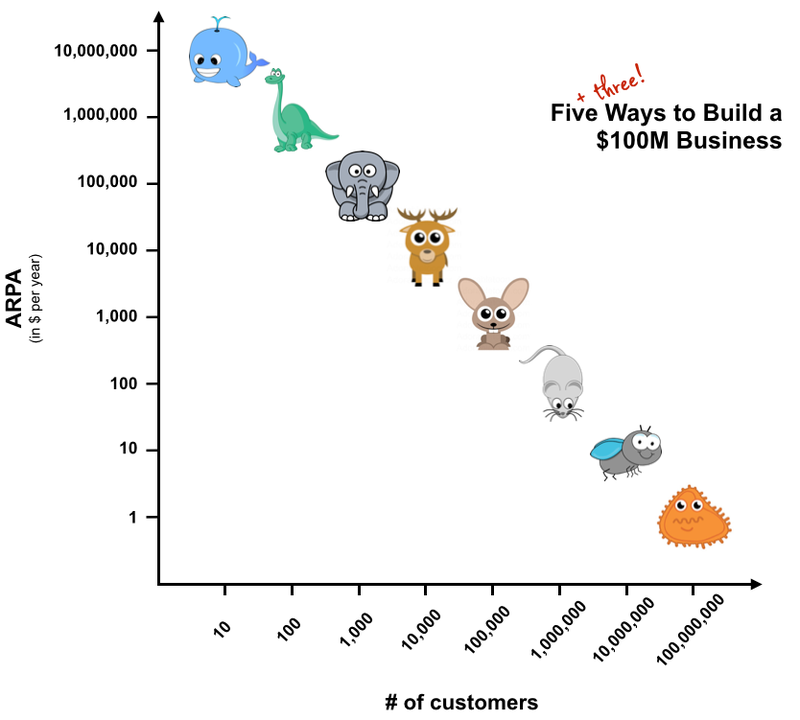 The main reason few startups go Brontosaurus (love both the name and graph!) is that not many teams can attract the initial funding (and investor patience) needed to build, sell and deliver at +$500k ACVs for multiple customers. I'm very happy to see you shining a light on other ways of building SaaS business' and that more and more startups seem to get the chance to go down the Brontosaurus path from day one, especially in applied/vertical analytics for some reason. As a consequence, interesting things are happening on the organisational and financial modelling front which will hopefully give VCs more confidence to invest at an earlier stage in teams without Dave Duffield pedigree hahaha. Great points – very insightful comment, thanks very much! The previous chart, with 5 animals, I like more. Perfection is good in rocket building, categories with 1-2 players are marginal information. Anyway, thanks a lot for both posts!